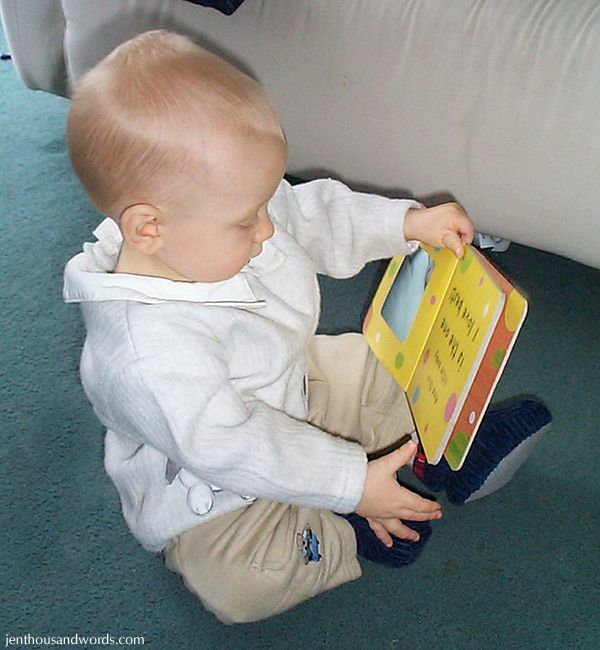 Reading to your baby even before he / she can understand the words creates positive associations with reading. They feel the comfort and closeness with you and enjoy the rhythm of your words, even if they can't follow the story. 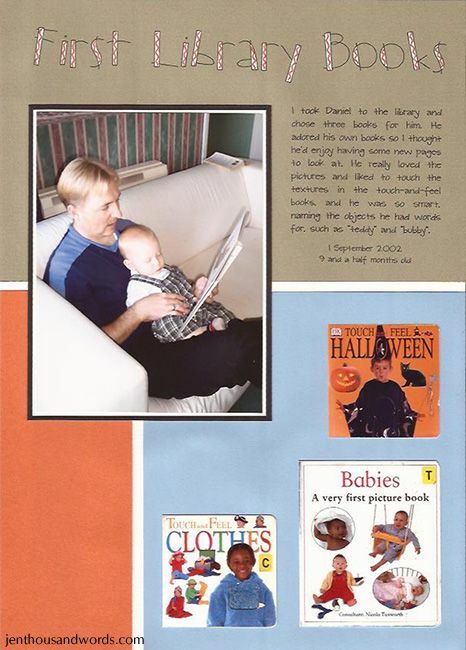 We made sure to include reading as part of our boys' bedtime routines when they were little (here's another photo of Daniel as a baby). But there's no need to stop when they get older. Keep reading to them until they don't want it anymore. It's a great way to bond and spend time together and reinforces the positive associations with reading. Noah, who turns 10 next month, still loves to have me read to him, although Daniel (age 13) doesn't anymore. So I'll keep reading to Noah as long as he will have it! Sure, they get reading homework, but that can be boring for both child and parent. 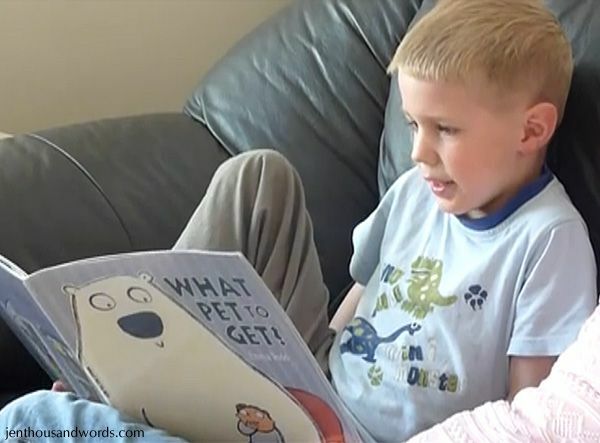 There are other ways to get your little one to practice reading aloud - have them tell you what's next on the shopping list while grocery shopping, or recite you the road names as you drive past side streets, or read the next step in a recipe. As they begin to develop reading skills it's always fun to show off to grandparents or family friends. 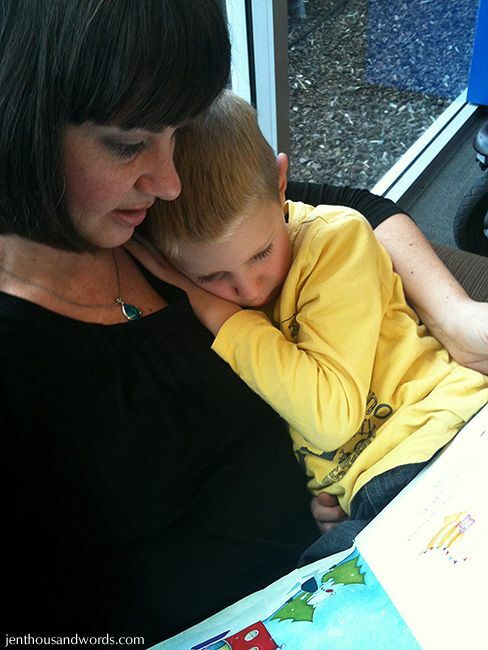 This is Noah, age 6, reading to his Nana (you can see the video here). This one can be tricky, as you might only find yourself reading in the peaceful moments when your children are at school, or when you go to bed and they're already asleep. But it's important for them to see you enjoying reading, as well as to learn reading etiquette, for example waiting for the reader to finish the paragraph and look up before talking to them. Let them hear you talking about books with your spouse / partner / friends. 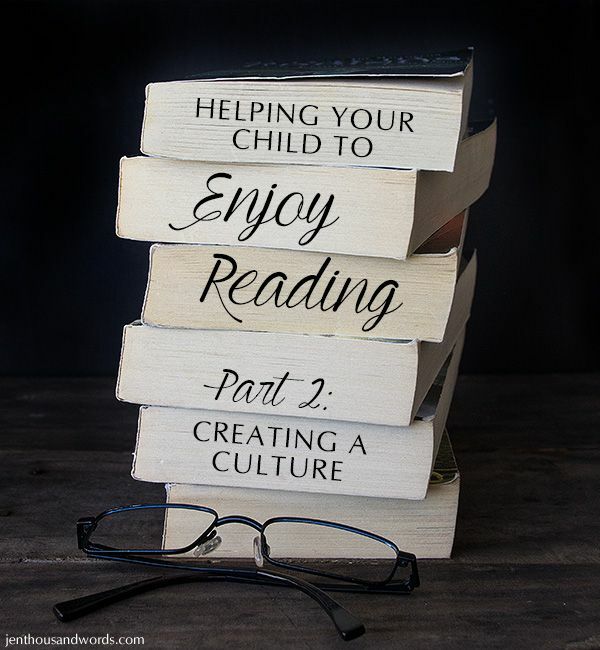 They will internalise the message that reading is interesting, enjoyable, and more than just school homework if they see and hear you enjoying it. I borrow audiobooks from my library through the Overdrive app on my phone, and would recommend checking if your library has the same service. You can also borrow CD audiobooks from your library, or else begin with free stories on sites like Storynory (suitable for younger listeners). Of course, you can also buy audiobooks. They are especially great to listen to while driving places - either on a personal device with headphones, or on the car stereo so that you can enjoy them with your child and having discussions about the story after you've listened. What if your children are older? 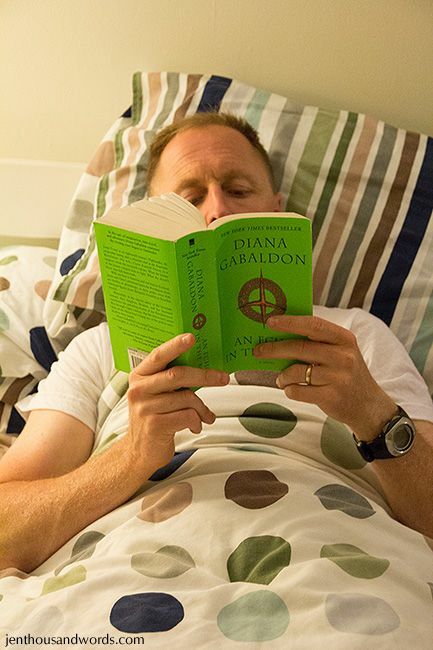 You can still create a reading culture, it's never too late. I only started exercising regularly in my late thirties, but I believe that although my children are already 9 and 13 the message that exercising is important will still sink in, because they see me doing it every day and because I talk about the benefits. It doesn't matter that they haven't seen me doing it all their lives. The same goes for reading. If you begin to incorporate books in your home and life, make reading more visible and trips to the library more frequent, it will affect your kids, no matter their age. Come back tomorrow for more tips and tricks to get those kids reading!